Technology plays a critical role in a businesses' ability to evolve in a competitive market and continually increase the value a business delivers to its customers. A conventional business will have to spend a lot of time and resources if they are to build every digital asset from scratch. Therefore it is a fundamental requirement to integrate internal and external heterogeneous systems quickly and efficiently to accelerate the digital transformation. Most modern systems support integration with other systems through communication mediums that are exposed over well-known protocols and standards. However, not every system is compatible with each other out of the box. Therefore it is vital to have a technology to fulfill this gap to accelerate the digital transformation efforts. 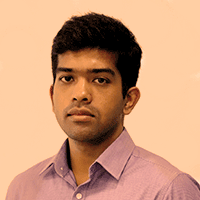 In this session, Asanka will discuss how the businesses use the WSO2 integration platform to solve integration and innovation challenges faced when carrying out brownfield integration. Asanka is a part of the WSO2 Enterprise Integrator team. He is mainly involved in research and development work related to the messaging aspects of the WSO2 platform and Ballerina. He is also actively involved in providing technical consultation for designing and building integration solutions for WSO2 customers in multiple industries, including many Fortune 500 companies.